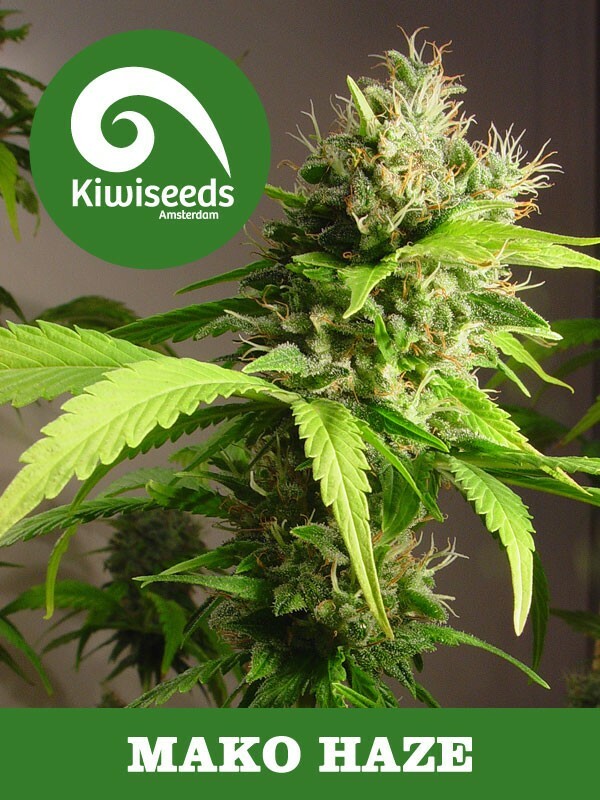 1st prize – best Sativa strain – H.T Cannabis Cup – 2006 Kiwiseeds pride and joy the Mako Haze, winner of the 2006 Cannabis Cup for best sativa, is legendary amongst smokers worldwide, and due to its sedative qualities has become a favourite with medicinal users also. These great seeds are available in Feminized so you can grow your own harvest without having to worry about male seeds! If you’re a Haze fan you'll love the Mako. Vigorous growth habits, with dense clusters of flowers,and heavy resin production. A little longer with the flowering times of the Mako Haze is more than compensated for by the end results. Huge yields of quality product can be expected. The smoke is lovely and smooth, with a good hazy taste. All in all very pleasant. WINNER OF THE SATIVA CUP HIGHTIMES CANNABIS CUP 2006!! If you are a Haze fan you'll love this one. Real sativa growth habit, and sticky with resin that looks almost like millions of tiny diamonds.